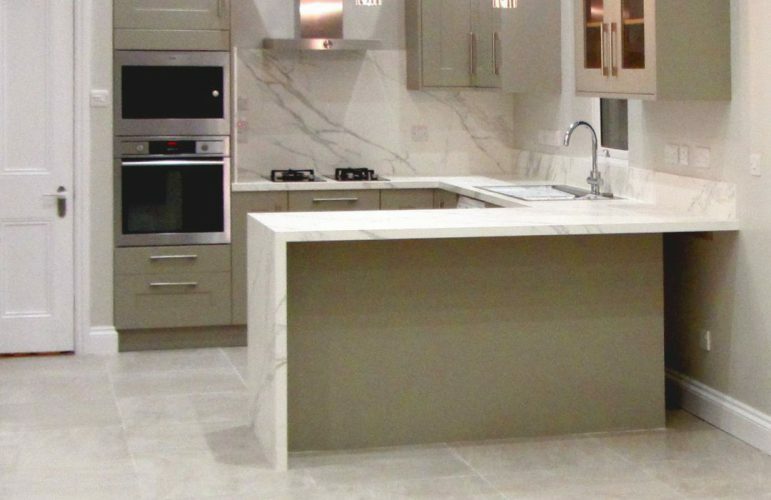 Project Scope: Furnishing a private residence a bespoke porcelain “Calacatta Oro Marble” satin finish. Porcelain proved an excellent choice for its durable qualities yet maintaining an almost natural look. Not to mention the significant weight and price reduction in using porcelain compared to traditional Calacatta Oro marble. 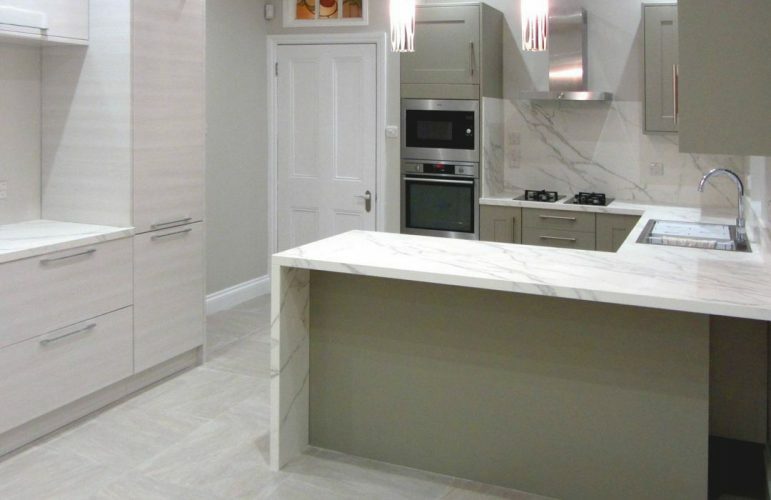 Note the continuing veins upon splashbacks and corners to produce a monolithic effect.